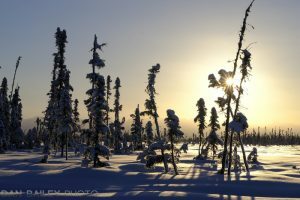 I spent last week documenting Rebecca Rusch’s fat biking adventure along the Iditarod Trail Invitational, a 300+ mile ultra winter endurance race that crosses the Alaska Range and traverses through vast sections of wilderness in brutally cold temperatures. This was a first for both of us. 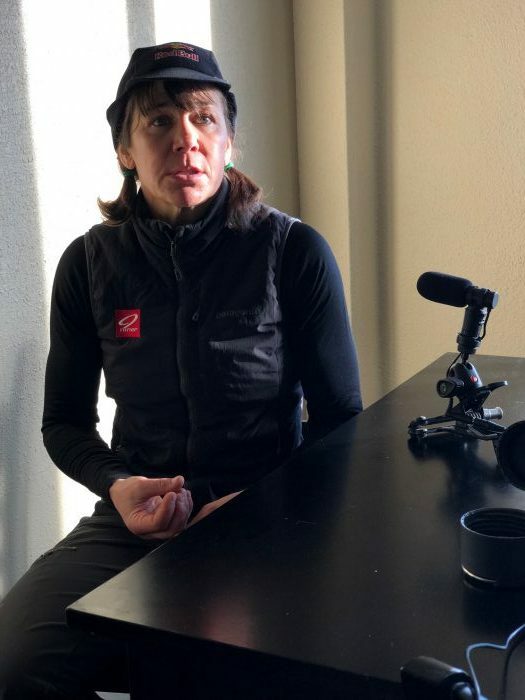 Despite being a champion cyclist and world-class endurance athlete, this was Rebecca’s rookie year in the ITI and her first time racing in extreme cold conditions for days and nights on end. And despite my two-plus decades as a pro photographer, this was my first real video project. Although I’ve dabbled with shooting and piecing together short clips for social media, I generally don’t consider myself a video shooter. Up until this point, I have resisted jumping in the pool, for two main reasons: one, because I’m endlessly fascinated by the power of still imagery, and two, because I’m terrified of the huge time and equipment commitment that video requires. No, this was not my X-T3. You can tell because there’s no snow and no bike riders in front of it. Last year, before Fujifilm announced the X-T3, they commissioned a full 9-minute cinematic film called A Different Beyond. The project was shot entirely with the X-T3 camera system and Fujifilm cinema lenses and directed by Matthew Libatique, whose credits include Black Swan and this year’s highly acclaimed movie A Star is Born. A Different Beyond is a gorgeous film, and it highlights just how capable the X-T3 is for shooting high-end video and film productions. With amazing 4K, 60p 10-bit, 400MB/s video specs, the X-T3 is clearly Hollywood ready, as you can see in the picture above. Although I’m light years removed from this kind of project, I was blown away when I watched A Different Beyond. Even with my limited experience, I was very intrigued by the quality and door-opening possibilities of what today’s cameras technology offers. That said, my approach to the Rebecca Rusch/ITI project was much more simple, and it closely matched my “fast and light” style. Much of the time, I shot with the X-T3 body and one of my Fuji primes, like the XF35mm f/2, XF50mm f/2 or XF23mm f/1.4. A few times, I used the workhorse XF50-140mm f/2.8. Often, I used the vertical grip for the X-T3, simply because it gives you those two extra batteries. Shooting video drains them much more quickly; add in sub-zero temperatures and it almost becomes a necessity, especially if you’re shooting longer clips. Then, during downtime, I could charge two batteries together by plugging the grip into the wall via the include 9v AC adapter. Although the X-T3 shoots gorgeous 4K video, I shot entirely in 1080p Full HD at 200 MB/s. (4K requires much more resources, computing power, card space, battery power, streaming bandwidth, etc…) Full HD on the X-T3 still looks amazing and it’s perfectly suitable for most outlets. I used the stock ETERNA film simulation, which looks great and offers very wide dynamic range. It’s also highly suitable for color grading, which is often done during the post production stage. Before the shoot, I spent some time on the phone with one of the Fujifilm Professional Markets Training Managers. He gave me some very good tips to get me started with regards to basic capture settings. That helped a lot. Keep in mind, these are are all screen grabs in this post, shot at 48 frames per second, with ISO varying between 160 and 3200. I could have shot at higher frame rates, but then you lose the “film” feel and it starts to look like a TV sporting event. 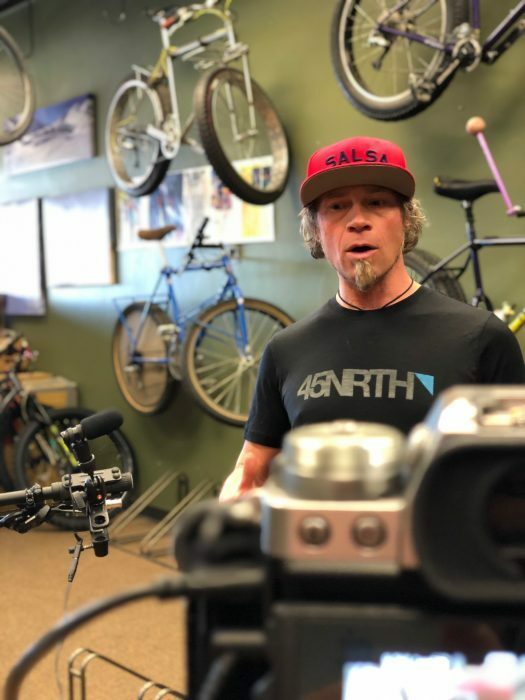 For audio, I mostly used the Fujifilm MIC-STI Stereo Microphone, either in the camera’s hot shoe, or extending it with a 10′ cable, sticking it on a Manfrotto Justin clap and clipping it to anything I could find that would offer me closer placement. I also used an Insignia brand lapel mic, which came in handy for interviews. I monitored sound via a pair of BOSE headphones that were plugged directly into the X-T3’s headphone port. Yes…! My audio engineering training finally comes in handy! After starting with the pre-race activities, I shot at the start, the halfway checkpoint at Rainy Pass Lodge, and at the finish in the town of McGrath. 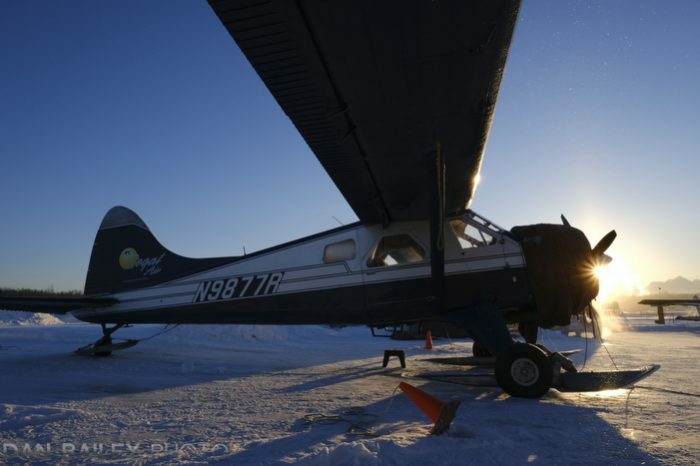 My traveling/producer companion was Ally Davis, who is Rebecca’s Media/Business partner, and we spent the week traveling by bush plane, hanging out in the cold in remote Alaska and capturing different aspects about the ITI. Although I’m a video newbie, I felt comfortable working in this new format. I feel that my photography experience with light, framing and being able to recognize key moments as they unfold translated well and helped me capture some great clips. As with my regular “still style,” I often shot handheld and moved around quite a bit. However, depending on the lens and framing, certain shots required a tripod to avoid an overly shaky look to the video. Throughout the project, I made use of a number of the X-T3’s video features, including AUDIO SETTING, the ZEBRA SETTING highlight warning, which I kept at 95%, and AF-C CUSTOM SETTINGS, which lets you adjust how the autofocus performs with regards to acquire speed and “lock-on.” When shooting stills, you always want the fastest acquire possible, but with film, you sometimes want a slower acquire so that it doesn’t look too jumpy. I also used the HIGHLIGHT/SHADOW TONE settings quite often. In fact, I stuck all of these settings into the X-T3’s MY MENU so I could quickly adjust parameters on the fly. And since it has a separate video settings for photo and video, I could easily switch back and forth when I needed to capture stills. Overall video performance of the X-T3 was incredible. It worked fine in the cold, down to -20F, the autofocus did great, although to make sure it didn’t “hunt” during a low-movement scene, I often locked on, then switched to Manual Focus with RED/HIGH peaking, and I made use of FACE DETECTION AF whenever possible. Even though I’m new to this world, I shot with confidence and I feel good about the footage we got. After all, it isn’t really the shooting part that keeps me away from doing more video, it’s the additional time involved. The reality is that I’m afraid I’ll really like it and right now, I can only afford to like it so much. Fortunately, I won’t have to do the editing. 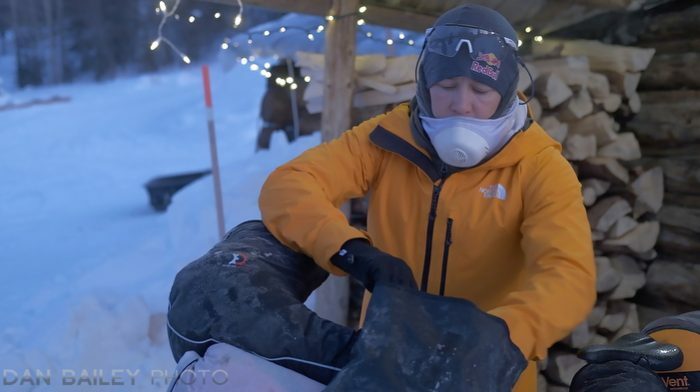 We documented Rebecca’s Alaska adventure for Outside TV and Red Bull, so their in-house production departments will handle all of the post. Originally designated for 10 minute shorts, we have enough video for a much larger project, so we’re hoping that this will be extended to a full length feature/episode on their channels. I’ll be very excited to see how it all ends up. Bottom line, the X-T3 is an amazing video camera, and it will handle any kind of project you throw at it. Of course, the real question is, did I suddenly become a video shooter? Am I hooked? Let’s just say I’m intrigued. The main reason I took this on is because I have a very good working relationship with Rebecca Rusch and a special admiration (ahem… professional crush) for what she does. I wouldn’t have done this for just anyone, and when it all comes down, I still love the magic and power of still photographs. That said, it was a fun change of pace, a good exercise and a new challenge to dip my toe into this world. I learned a lot, I gained some valuable experience, and as an X-Photographer and X Series guidebook author, I suddenly have a lot more insight when it comes to shooting video on the Fuji cameras. With my newfound skills and confidence, I’m sure I’ll transition into doing more video. I do enjoy putting together short pieces to score myself, mostly because it gives me an excuse to play music at my desk and call it work. Check out Rebecca’s Instagram to read detailed and personal accounts of her ITI race experience; they’re quite compelling. And stay tuned for the final film, I’ll let you know as soon as it’s released. Deep snow somewhere around Mile 88, almost 30 hours into the race. 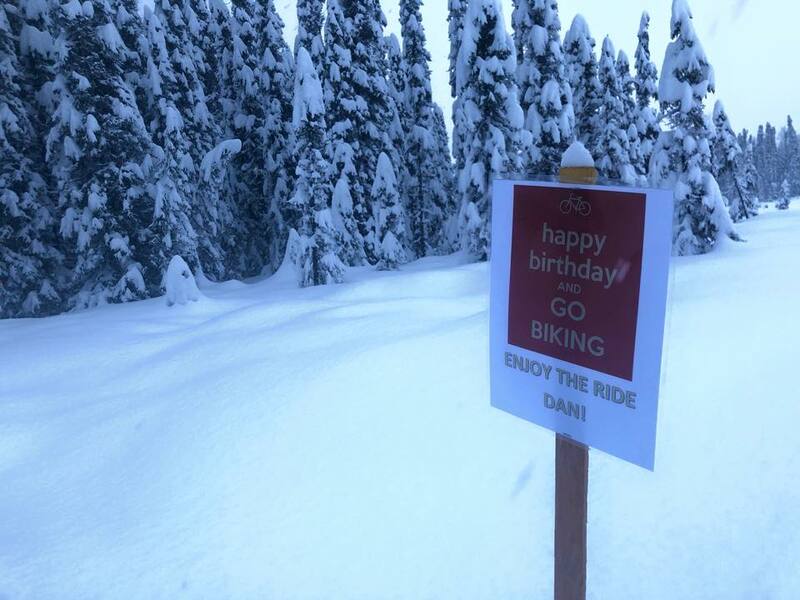 This past weekend was my 51st birthday, and I figured, what better way to celebrate than by doing a 100 mile fat bike winter endurance race here in Alaska and spending all day outside in the snow and cold? 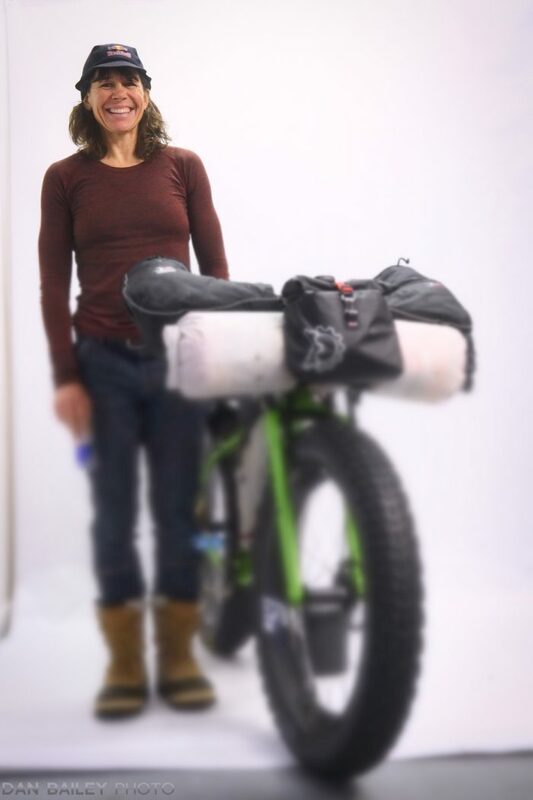 Being my fourth Susitna 100, I trained hard, riding over 700 miles in December and January, and went in with a lighter bike, (Fatback Carbon Corvus,) stronger legs and much more experience. I was hoping for my fastest SU time ever, but as it often happens with winter adventures, all that went out the window and it ended up being by biggest, baddest and slowest SU100 ever. For the most part, my race strategy for an anticipated 12-14 hour finish held through the entire first third of the race. I rode hard with a consistent pace for the first 40 miles, and blasted in and out of the 22 and 34 mile checkpoints with minimal time lost. The stretch across notoriously awful Dismal Swamp went relatively well, despite completely flat light, which made it nearly impossible to see the track. Things started to fall part around mile 40, when we dropped onto the Susitna River. 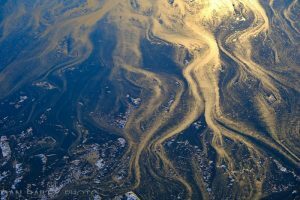 Conditions on the well-tracked rivers can be hit or miss. Today it was miss, and soft, unconsolidated snow that was littered with the footprints of the 40 riders ahead of me made for horrendous conditions. That’s where the pushing started. Fortunately, the river section only lasted two miles, but then we hit Big Swamp. 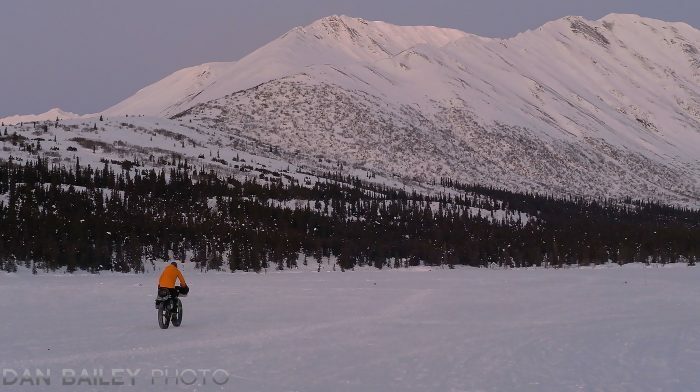 Countless short stretches of windblown snow, and a mix of tire ruts and footprints made for challenging riding conditions, causing lots of “on-and-off” the bike. The trail improved dramatically after rate 49 mile checkpoint, which I hit right before sunset. However, by then, I was getting pretty tired. I had been riding for 9 hours by then, and my pace begun to drop as I made frequent short stops to drink water and shake out my arms. I hit the 63 mile checkpoint at Eagle Quest Lodge around 10:00pm and spent an hour inside the lodge eating some hot food and drying out my clothing. At one point, there were three of us dudes eating dinner together at the same table, and it happened to be all of our birthdays, even though we didn’t know it at the time. Eagle Quest is an easy place to get sucked in, and it’s a convenient place to stop for hours. Many racers call it quits there, since it’s right on the road and they have free heated sleeping cabins for the racers. After a dry night inside, a ride home is only a phone call away to a friend or family member who will come get you. We saw a lot of bikes parked there and with the steady falling snow, we figured that most of them would end up staying parked for the whole night. However, I was determined not to fall prey to temptations and I stayed just long enough to get a decent rest. Leaving Eagle Quest just after 11:00pm with renewed energy, I rode with Ryan, who was one of the three birthday guys. 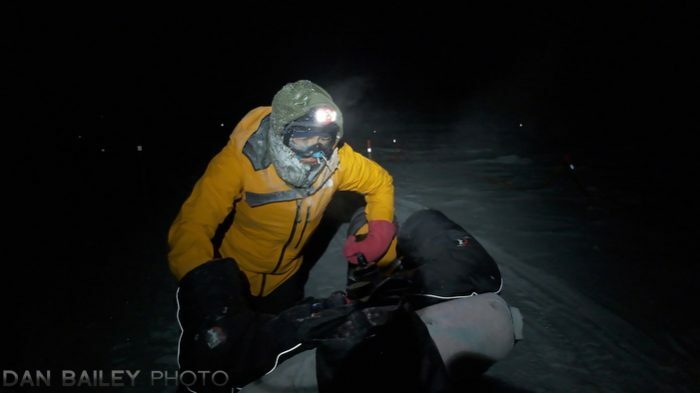 We kept a pretty good pace for a few miles until we hit a big stretch of churned-up snow and had to start pushing. 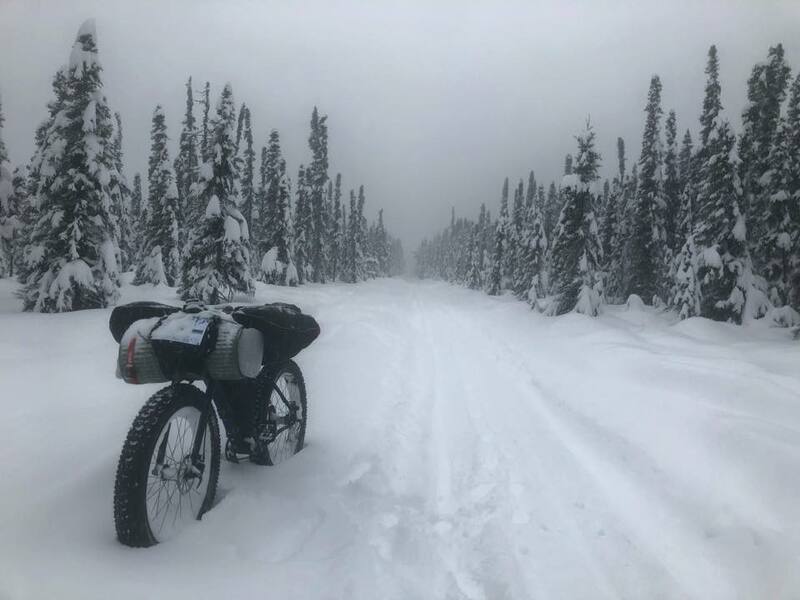 We were on and off the bikes for the next couple miles, but ended up pushing the all of the last 5 or so miles though soft snow to Cow Lake, the 80-mile checkpoint. That 17 mile stretch took us about 6.5 hrs. Ryan called it quits there, but since nothing hurt, and I has a good 2 MPH pushing pace, I had no thoughts of quitting. There was still plenty of time for me to finish, even if I had to push the entire rest of the way. Plus, I live with someone who has run and skied the SU, with multiple 30+ hour finishes. After an hour and a half bleary-eyed rest inside the nice warm tent, I decided to head out. Leaving Cow Lake in the dark at 6:51am, I pushed the entire 12 miles to the Hunter checkpoint under continuously falling snow. About a mile before I got there, I heard a voice behind me, Looking back, I saw Rylee, who had arrived at Cow Lake in the middle of the night. After sleeping for 5 hours, she woke up, followed my track, and caught up with me about a mile before the tent. We got a brief rest at the last checkpoint, left together and pushed the last 10 miles to the finish. We arrived at race headquarters to the cheers of family, friends and race volunteers very tired, but in very good spirits. Total time for my race: 35 hrs, 19 min, pushing for about 27 straight miles on Sunday. Add in the whole 2 mile river section and all of the other churned-up snow sections in Big Swamp, I probably pushed for a total of 30 miles. When I was done, I was tired and my feet hurt from being on them for so long. 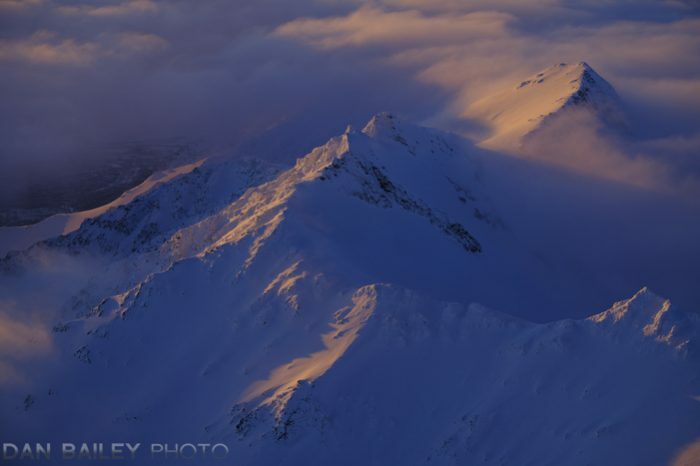 If you’re a regular reader, you know that winter is my favorite time for shooting mountain aerials here in Alaska. 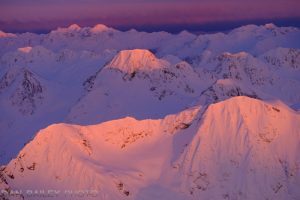 On clear afternoons, the low sun casts warm pink and orange light on the snow covered peaks, yielding magnificent views, allowing me to capture what I feel are some of my best landscape images. 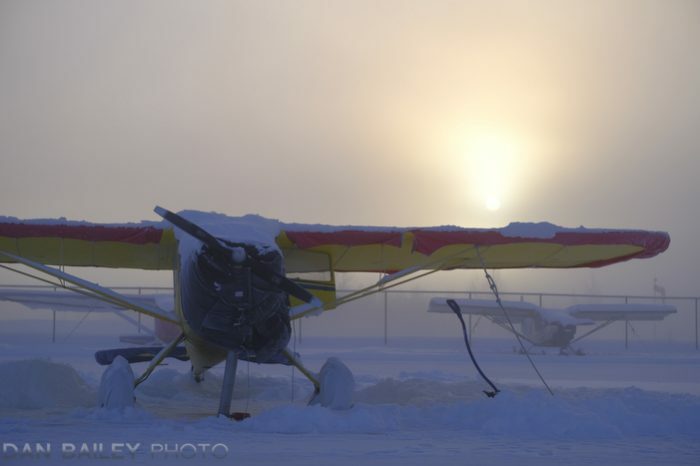 After a few straight weeks of overcast skies and ice fog, and two failed attempts to go flying, I finally shoveled out the Cessna and got back in the sky. 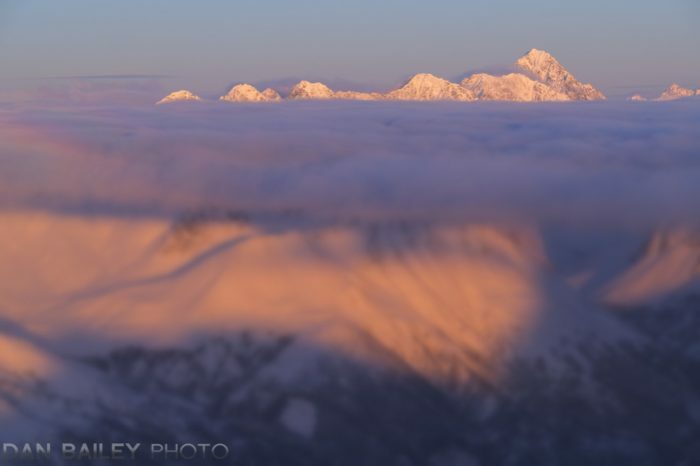 As I often do, I headed towards the Chugach Mountains, which are my favorite aerial subjects around Anchorage. With so many valleys to explore, it’s simply a matter of picking a direction and chasing what seems to be the best light. 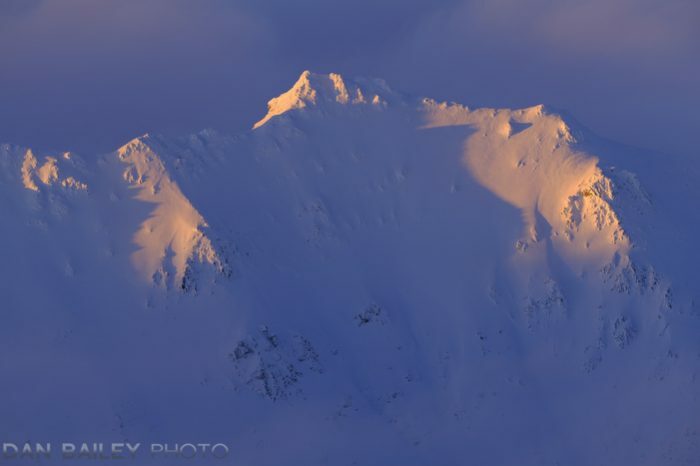 I started by heading north and climbing along the west side of Pioneer Peak, which sits near the head of the Knik River Valley. Looking north, I saw a thin layer of clouds hanging over the valley at about 6,000 feet, partially obscuring the lower regions of the mountains that lay to the east. 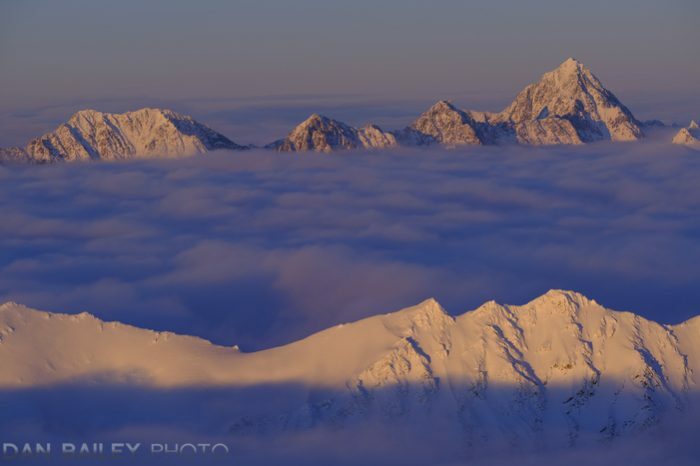 The tops of the taller peaks poked up through the clouds, like islands hovering above a sea of fog. 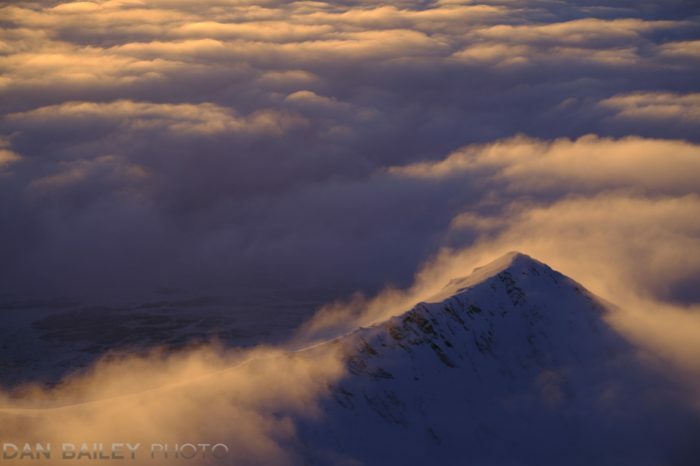 As I crossed the flanks of Pioneer’s southeast ridge, I caught the full view of this cloud layer which now hung over the entire Knik valley. Scores of high peaks stood isolated in this mystical alpine ocean, their tops being lit by the increasingly warm light of the dropping sun. I’ve flow over this area countless times in all seasons, during every month of the year, but I’d never seen it like this before. It was like some magical, otherworldly place where I’d never been. I felt as if I was flying in a whole new place. 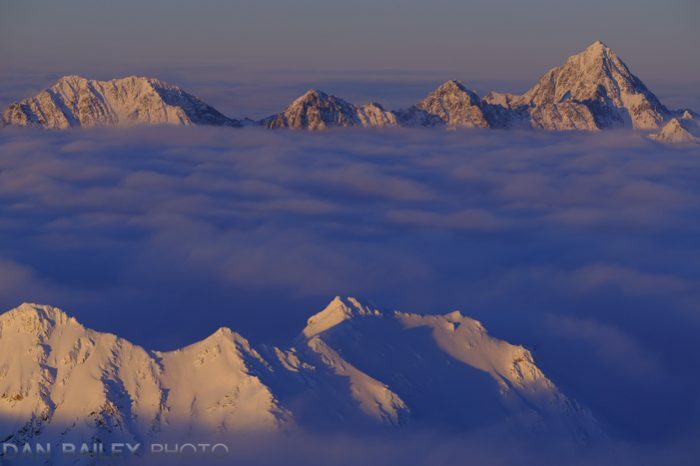 Looking down, I could barely see the Knik river or glacier; aside from a few small holes, I was completely isolated on top of the cloud layer. Keeping my eyes open for a good vantage point to capture this impressive scene, I was drawn to Peak 8675 and its rugged massif of neighboring summits. A few miles to the southwest, I saw a second set of isolated peaks sticking up through the clouds as well. Although not nearly as high, I felt they would contrast nicely against the taller, more forbidding mountains in the background. 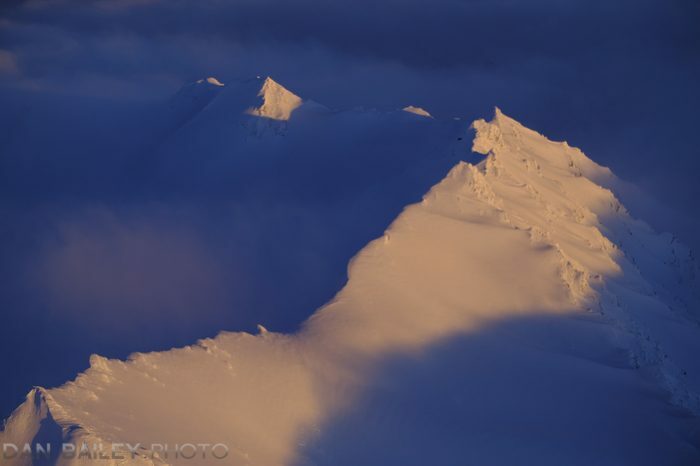 Starting with the XF90mm f/2 lens, I flew alongside the closer ridge, opened the window and shot a series of frames lining up the two sets of peaks. The -10 degree air quickly pulled all the warmth out of my hands and fingers, even through my thick gloves. Although I’m well practiced with this kind of shooting, it’s still a shock on these very cold days. It becomes a constant battle of getting good shots and fighting the pain of freezing digits. Reaching into my pocket, I opened a pair of hand warmer packs and stuck them into my gloves. That would help, but at these temps, it isn’t a magic solution. Like I said, it helps. Huge mittens would be warmer, but that would make it really difficult to handle the camera. I really liked the juxtaposition of the two sets of peaks. My favorite is the lead-off shot at the top of the post. However, there was something intriguing about this smaller island, so I flew a full circle around it, shooting 22 frames from different vantage points. 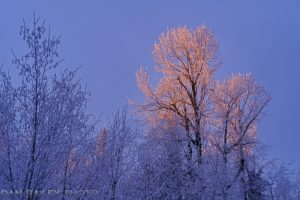 I loved the way the warming light on the snow contrasts with the deep blue of the shadows. The Velvia color palette portrays this so well; it’s a look I’m endlessly fascinated with. As my vantage point shifted to straight west, the clouds became a heavy blanket of gold against that last summit in the line. After my pass, I pulled the window closed, rubbed my hands together and turned the plane south. The good light was only just beginning and I continued to shoot more aerials for the next 45 minutes as the colors turned to bright pink.